Dessert anyone? I love fresh fruit with dessert. This was a super easy and delightful treat. My kids loved it and I didn’t feel guilty enjoying it. 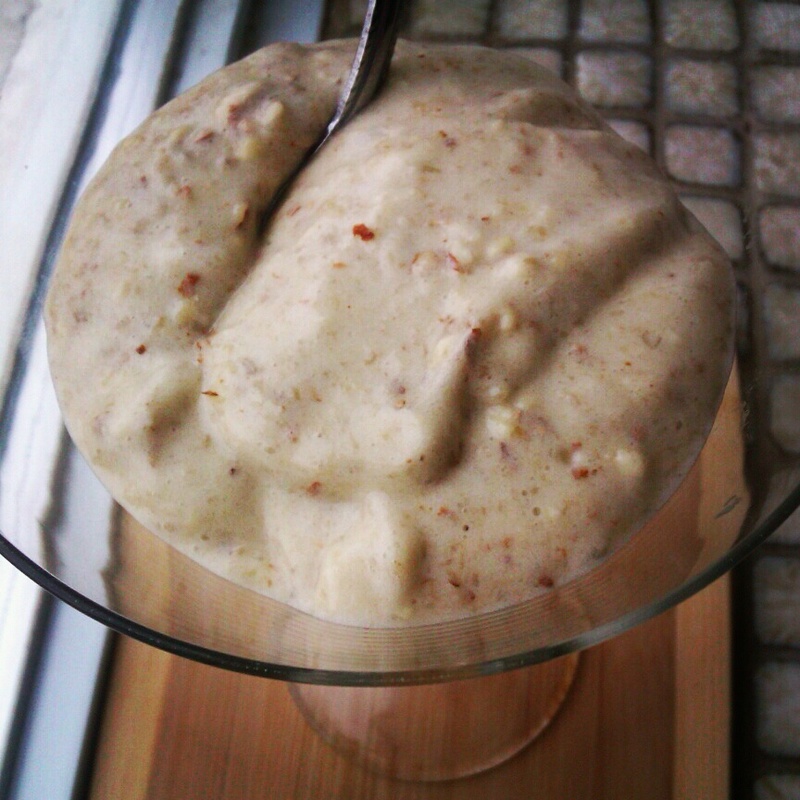 I made a frozen banana treat, it actually reminded me more of a little custard but Ice cold. You want to freeze the bananas for about 3 to 4 hours. This is all you need, you can add anything to the mix; in this case I added almonds. Top it with hot fudge, caramel or even peanut butter sauce. Hope you enjoy this little healthy treat. 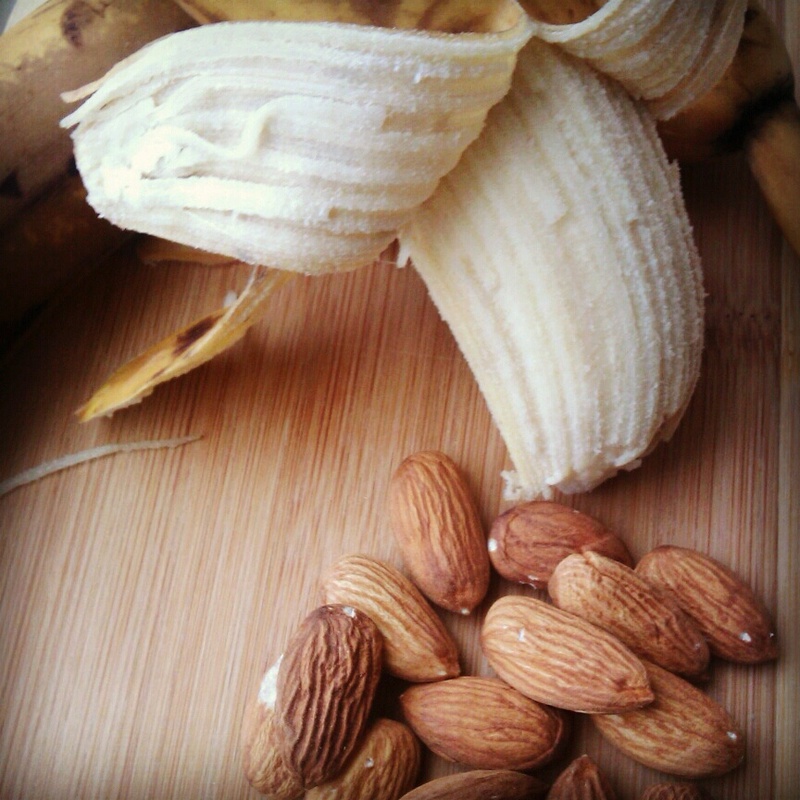 Take a processor and add the frozen bananas and almonds. Blend for about a 45 seconds to 1 minute. You will see it will turn into a cream. Scoop in a bowl and enjoy. Very simple, nice, sugar-free treat! So simple, the so fantastic. Frozen banana’s ate a regular in my house- never thought to put them with almonds though. Love it! This looks absolutely lovely. I’d love to put a grown-up spin on it and add a little rum to the mix – seems as though it’s heavenly enough without that element though!